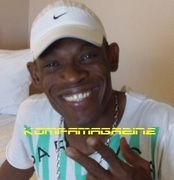 RORO DJAKOUT VIDEO INTERVIEW: ON NEW CD. PROFITE CONTROVERSY. NEW NAME. NU LOOK BLAST. GAZZMAN/HMI POLITICAL ENDORSEMENTS + MORE...U DON'T WANT TO MISS THIS!!! !